Weekly Forum: What’s Dumber? The NFL Knee Or Refusing Free Books From The First Lady? Every week on Monday, the WoW! community and our invited guests weigh in at the Watcher’s Forum, short takes on a major issue of the day, the culture, or daily living. This week’s question,courtesy of Don Surber: What’s Dumber? The NFL Knee Or Refusing Free Books From The First Lady? Rob Miller:You can’t make this stuff up. The NFL commissioner and the team owner’s refusal to rein in their pampered millionaires from disrespecting flag and country and obey NFL rules has already affected TV ratings, game attendance, and sales of NFL merchandise. It’s even costing NFL games TV and radio sponsors as what amounts to an NFL boycott by their fan base spreads. Don Surber’s Question calls for a comparison..to this. First Lady Melania Trump loved reading Dr. Seuss books to her son Baron when he was small, and the books themselves have long been associated with helping children learn to read and improving children’s literacy.Even the National Education Association’s annual “Read Across America” day — when cities and towns across the country host events to celebrate reading — is on March 2, Seuss’s birthday. So the First Lady decided to purchase a complete set of the beloved books and sent the set as a gift to the librarian of the Cambridgeport School in Massachusetts, one Liz Phipps Soeiro. I suppose that means President and Michele Obama are racists too, what with all the times they read Dr. Seuss to school kids. 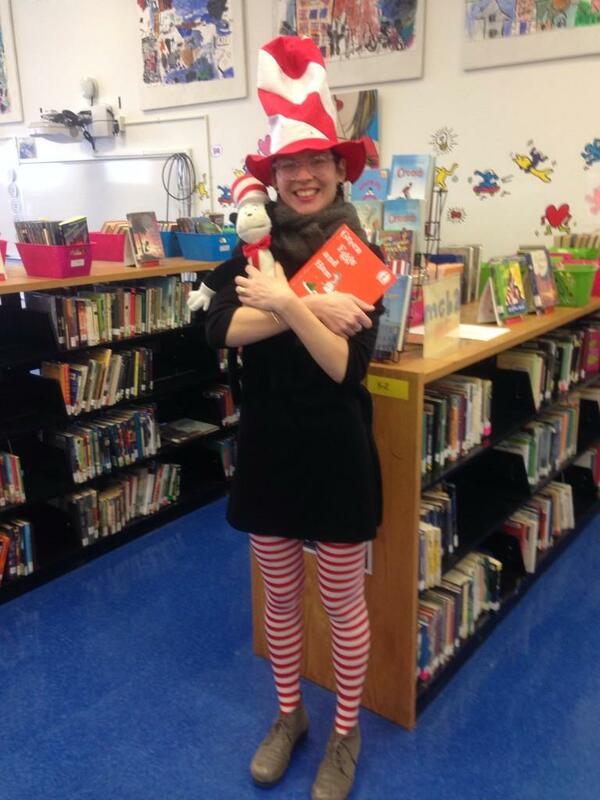 My goodness, here’s Ms. Phipps Soeiro- or someone who looks exactly like her, works at the same school library and has the same Twitter account – promoting ra-aaa-aa-cism and brainwashing small children by dressing up as The Cat In The Hat and pushing the racist Dr. Seuss’s book! They also claim they counseled the librarian ‘on all relevant policies.’ Which means they went to the teacher’s lounge, had some coffee, a good laugh and an ‘attagirl’ moment and just told her to be a little less obvious in the future. So what’s dumber? I’d say the knee was, since it is actually going to cost the perpetrators themselves $$$$ in the long run. Whereas this Massachusetts librarian was merely depriving and damaging others, not herself. But in terms of real damage, it’s the librarian hands down. When I was younger, a public library was a wonderland to me. I had to walk about a mile and a half to get to the two closest ones, but there were always amazing things to inspire me and learn from. Libraries and librarians have changed quite a bit. 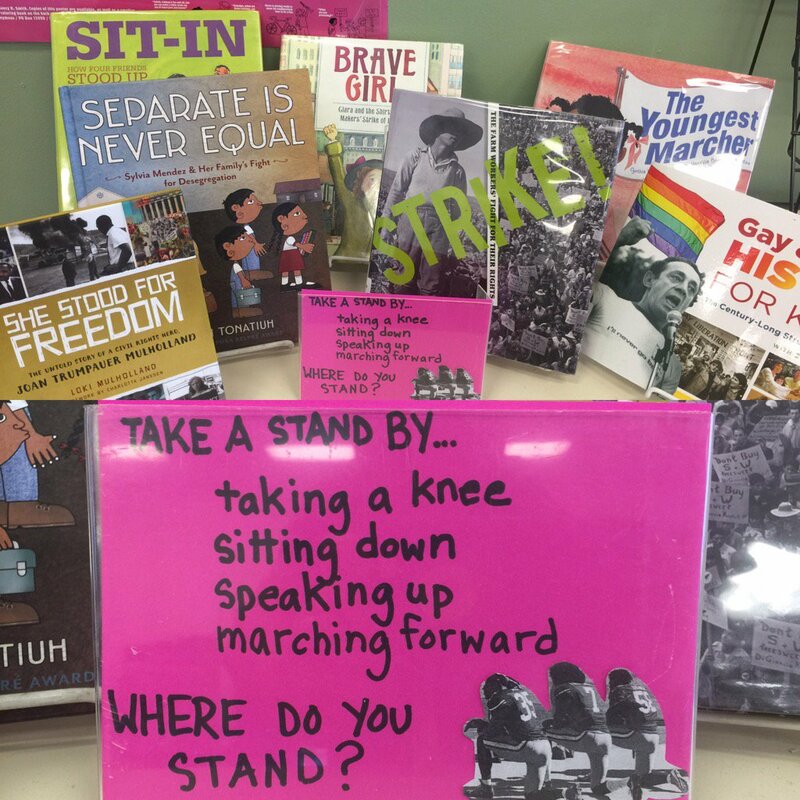 When you look at what they’re stocking nowadays unless you special order, it’s a clear example of how the Left has destroyed education since they took it over. Don Surber: Answering my own question, both stories are symptoms of how the cultural war has expanded beyond Hollywood. We blew off the HUAC hearings on godless communism’s influence on movies following World War II. Oh, a few guys lost their jobs, but the leftward march of Hollywood is clear. After turning Joe McCarthy (whose hearings were on government infiltration) into a pariah, the word communist was effectively banned. The left has attacked football for decades because it helps boys. Helping girls is fine, but boys are a threat to the left because they tend to grow up to be men. Sexist? Look at how Boy Scouts are treated, and how Girl Scouts are. Anyone encouraging boys specifically on STEM? Calling Dr. Seuss racist because he drew cannibals in an ad for an anti-mosquito spray in the 1930s is absurd. He stood up for civil rights in editorial cartoons. But he served his purpose to the left. The racist libel is well established in academia as a fact, just like global cooling, global warming, and all their other quackery. Which is worse? One takes football from boys, the other takes reading. That is what they attack. They couch it in attacking racism. I would say attacking football is worse because we need men in a nation that is emasculating itself. Laura Rambeau Lee : These acts are not dumb; they are dangerously contributing to the destruction of our country. They are the result of the Marxist indoctrination going on for years in America, in our schools and disseminated via the media. It cannot be stressed enough that the election of President Trump was a terrible shock to the left, who were certain their agenda would be continued with a Clinton presidency. They were so close to the fundamental transformation of America and they are not about to give up. This is an all out war and hopefully Americans are waking up in time to put an end to this evil for good. Make sure to drop by every Monday for the WoW! Magazine Forum. And enjoy WoW! Magazine 24-7 with some of the best stuff written in the ‘net. Take from me, you won’t want to miss it. ← Weekly Forum: Should DACA Be Ended?